If you haven't noticed, I haven't been very active anywhere online for a while. * In fact, November marks the first month in SEVEN YEARS that I didn't write at least one article. * There is a reason for that. * In October, my family suffered a terrible loss by losing my father. * Life tends to stand still when something like this happens - especially when you are as close to someone like we all were to him. * While things are getting better a little day by day, dad passing away left a huge hole in all of our hearts. We are very thankful that we had him in our lives. 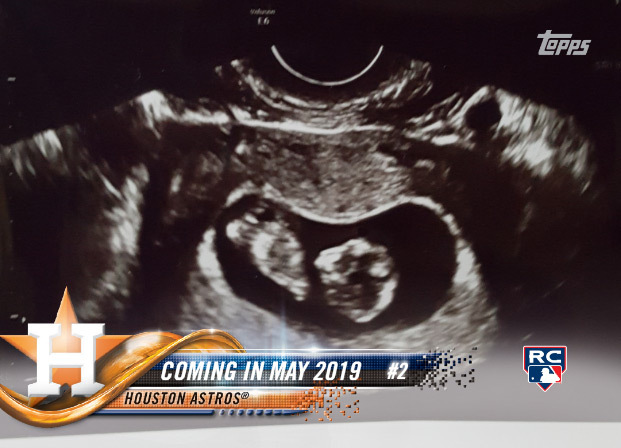 My wife and I went back and forth as to if we should tell him and mom some big news. Together, we decided to give them the shock of a lifetime. We are pregnant! * It has been a long,*past several weeks to wait and tell everyone. * The last time we were pregnant, my wife was 21 and I was 22. * When baby #2 arrives, she will be 38 and I will be 39. * If this kid is half as awesome as our first born, we will be ecstatic * There will be a 16 1/2 year gap between the two. Life recently has been full of extreme sorrows, incredible joys and everything in between over the past few months. * I feel like someone strapped me to a chair and has been spinning me perpetually. * We are all just so grateful that we were able to tell him about his 2nd grandchild coming into the world. * We told him the last time we saw him together as a family, just days before he passed away. For years, I've wanted to write a book. * In fact, I started writing it in 2015. * It has been a labor of love that has taken countless hours and many nights, with the end changing from month to month. This book, rather, the lessons I learned in this book - cost me $107,868. * This is the cumulative amount I paid for my collection during my*Supercollecting journey. * To put things into perspective, this is significantly more money than Jose Canseco himself received for playing his first full year of baseball when he was rookie of the year! * Though the profits I made from wheeling and dealing cards over the years covered the entire amount I spent, it is still a lot of money - especially for a collection of one player. My Book is Finished and Available! 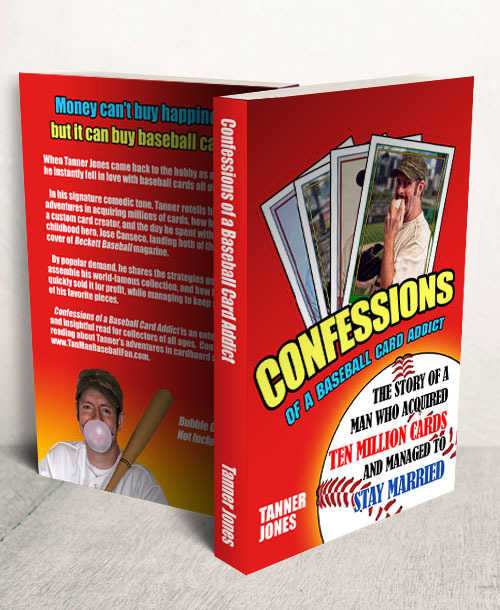 Because I sold everything and turned a profit, I was able to document how I did it in my new book, Confessions of a Baseball Card Addict. 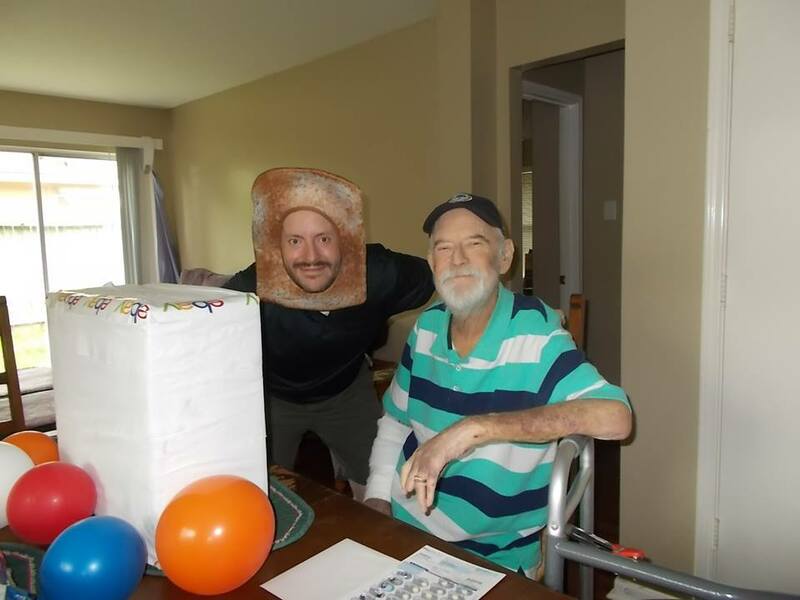 My initial plan was just to write a book about my adventures in cardboard, but it morphed into something more than just a book for entertainment purposes. * I used it to document how I became a dedicated Supercollector and what strategies I employed to sell a six-figure collection focused on a single player while turning a profit. I did this because I truly hope that you can read it and not just be entertained, but also have a guide to help you every step of the way if you plan on starting collecting, want to change your collecting focus or hope to sell your collection. While my Supercollecting journey is over, my time in our hobby is not. * Frankly, I've missed you. * I've missed being in conversations about the hobby and the thrill of chasing cards. 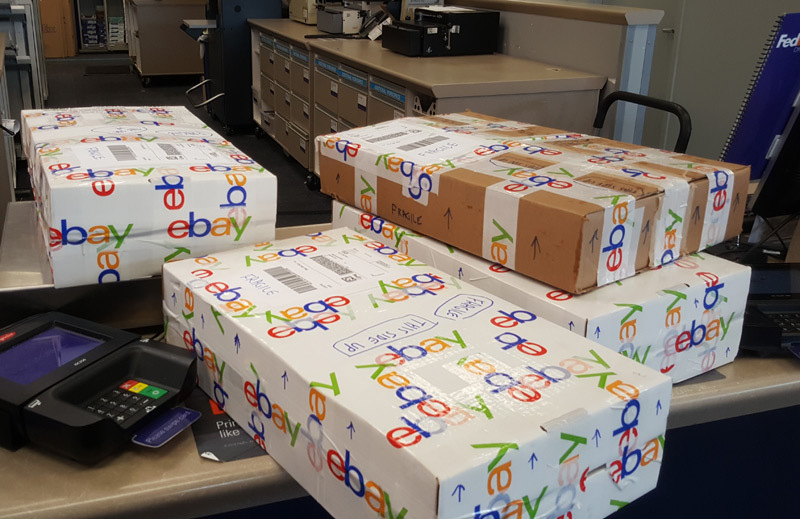 * If you have been reading my articles since the time I was heavy into reselling, you know that I love to practice what I call Cardboard Alchemy:* The art of selling a collection for profit, and keeping some meaningful left-over cards for free. I decided to build up an entire run of base and insert cards. * Instead of storing them in boxes, I opted to do what I always wanted, and store them in pages. These binders are from Unikeep for about $16 each. * They feature a clamshell design and can be stored upright. ** Their website allows you to customize, so I made four of them:* Volumes 1-4, complete with custom graphics on the front, back, and spine! You will not find any parallels in these binders. * Just a single, base representation for all base/inserts that came out. * This should only take a few dollars per release to keep up with, instead of hundreds or thousands to secure all 20 different colored autographed cards from each release. I have found a tremendous amount of joy and satisfaction in my new binders (I still need about 30 cards to complete the run). * It will be fun chasing them again - this time, without the stress of worrying about missing out on a super rare card. * I used to look at my collection on my website. * Now, I find myself pulling out a binder and happily turning the pages, just like I did when I was a kid. I have also found a tremendous amount of joy in many cards that I didn't look at twice as a Supercollector. Some extremely beautiful cards would go unnoticed in my collection because I was so focused on landing the next plain, base card with a 1/1 stamp on it. 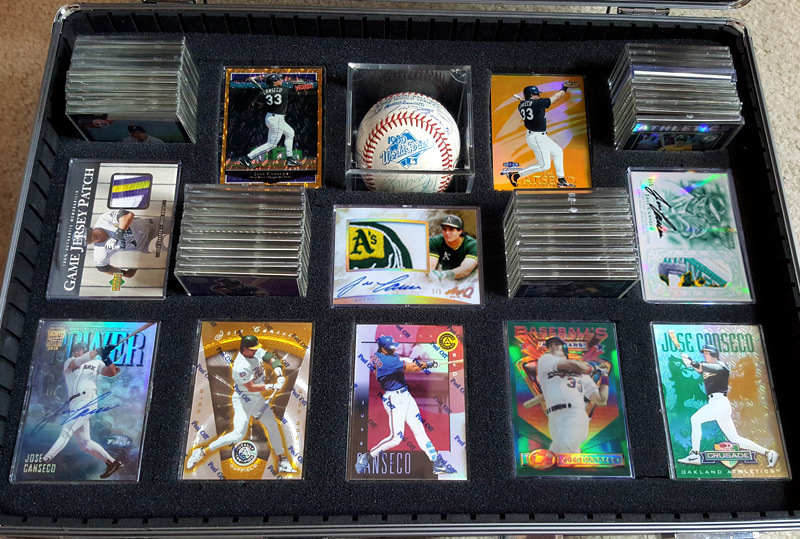 Shown below are many of the cards I've picked up again that I love, using the profits of selling my collection. Refractors, die cuts, museums, artist proofs, elites, platinums, mirrors, acetates, and more are now rightfully given a prominent place in my collection that they never could have before. * Some were seeded at one per pack, where others are numbered to /5. * Some are easy to get, where others are one of a kind proofs. * They all share a commonality of being beautiful or meaningful to me. * I will continue to add to this as well, as I see things that catch my eye. When I realized I'd be able to turn a profit, I asked myself a question:* "What cards would I rescue from a burning house, if I could only take a handful? "* That removed all interest in cards due to the "necessity" of completing rainbows or just because they were special to others. * I found out that I fell hard for wild patch cards and the parallels and inserts of the '90s to '00s. * Shown below is a picture of some of my favorites. * Some of them I never sold, whereas others I did sell and had to buy back using the profits from selling my collection. One card shown below, the 1998 Crusade Green is actually an Executive Prototype, which I consider to be the best Canseco Crusade ever made, due to the colors and rarity (it is estimated that only one or two were made). * That is one card I never had to begin with but traded for because it meant so much to me from a collector named Jonathan. * I'd be remiss if I didn't mention anything about the Gold Victory 1/1 - perhaps the most beautiful card ever produced, or the Certified Mirror Red Prototype that has quite possibly the wildest backstory ever for any card in my collection! Note also that I switched from keeping cards in One-Touch holders to mini snaps from Pro Mold. * I LOVE how they look and feel - it gives you a more intimate feeling of the card if that makes sense. * (That sounded creepy, didn't it? )* The Black Chrome Refractor was graciously traded back to me by Chad. * Speaking of black refractors, I was able to get back my Expos Black Refractor as well. * Thank you, Chad and Rob! 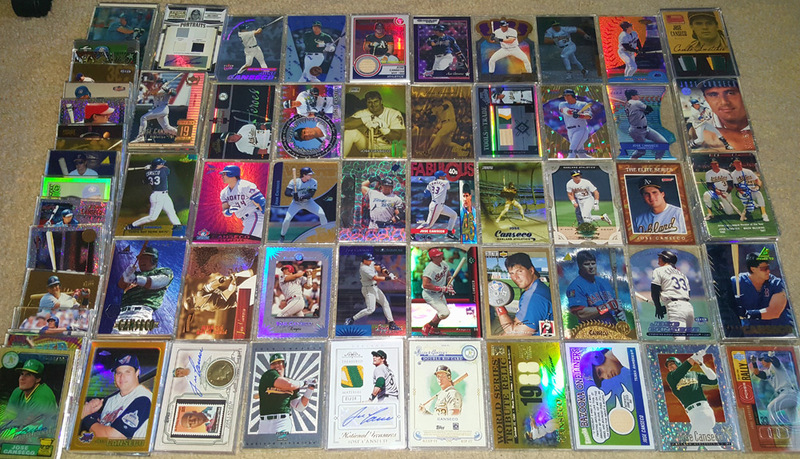 * I was able to get back my Brilliants 24 kt from Curtis - by the way, he has a TON of insane Canseco stuff for sale on eBay now. * Check him out at mayco23! Closed, it is beautiful and makes you feel like it should be handcuffed to your wrist at all times. 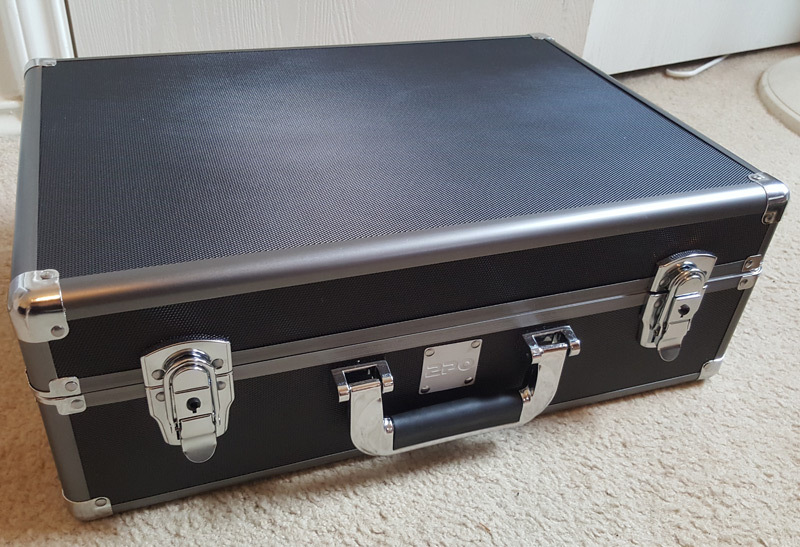 * It looks like it could contain priceless artifacts that movies are made of. * For me, while the outside is great, the inside is greater. * It includes something called "pluck and pull" foam. 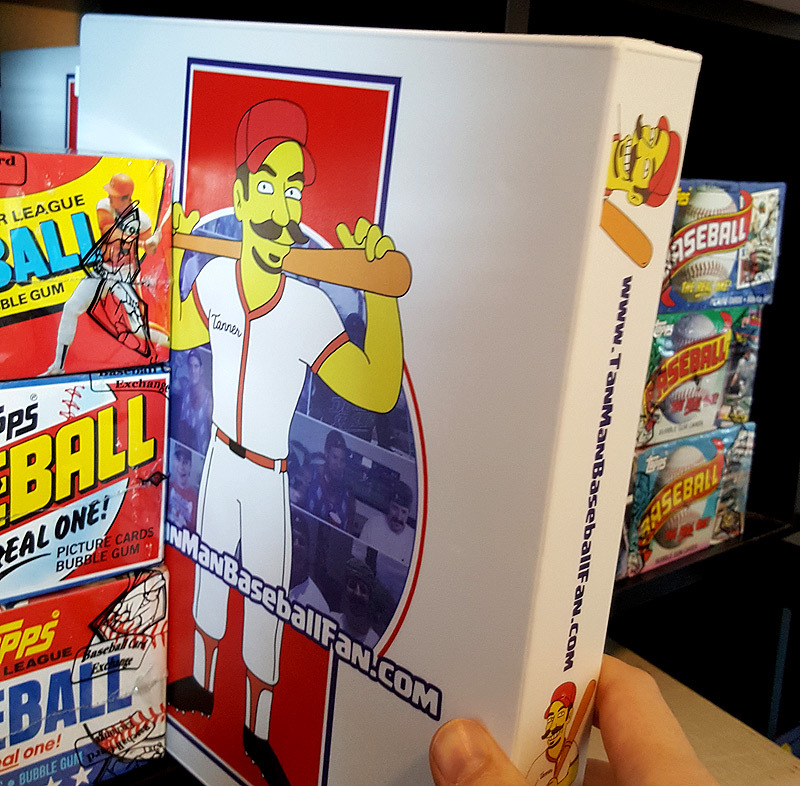 * You can pull perforated chunks out of the foam to fit your cards so they display nice and snug. 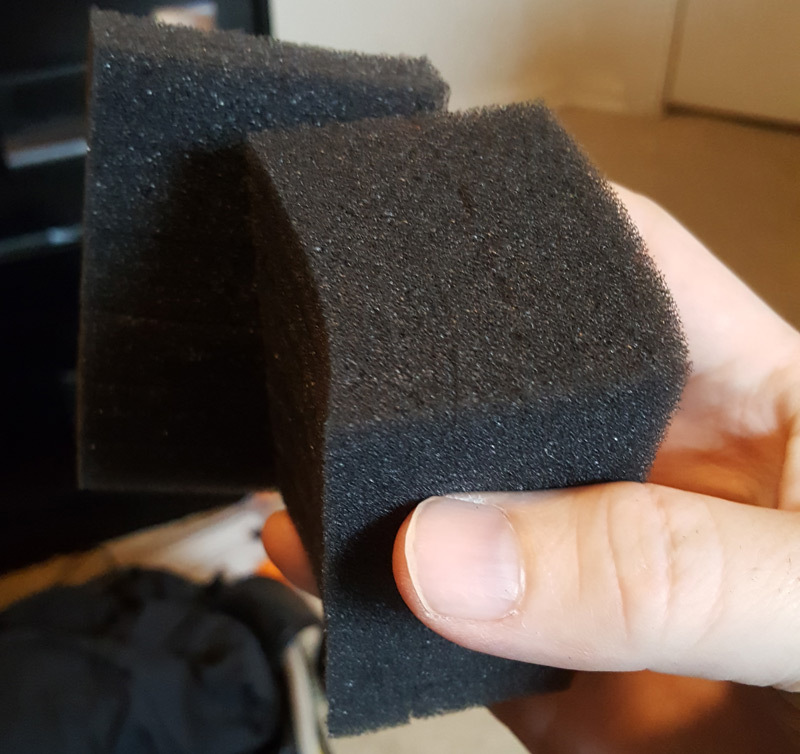 I couldn't get it out of my head as to what some beautiful high-end cards would look like laying flush in the surface of the foam. Perfect! As you can see, the nice cards I have decided to keep fit beautifully inside this case. * It took some time to pluck &amp; pull the foam out where I wanted so everything is nice and uniform. * There was even a spot for my game-used team autographed 1989 World Series baseball that I kept! Having this case took care of two issues for me. * I don't like multiple cards being "displayed" on a desk or anywhere because it makes the cards feel like fine china to me. * Putting them in a cardboard box makes me feel like they lose their specialness. * For me, this case is the best of both worlds. * It also gives off a nice 3d display effect. You may recall that Blowout Buzz did an article on me stating what my favorite card was. * Though I had many favorites, I chose the 2017 Museum wood 1/1 to be featured. * It was the first card I sold off to Supercollector AJ - I miss the card, but it simply wouldn't have been financially smart for me to have kept it. 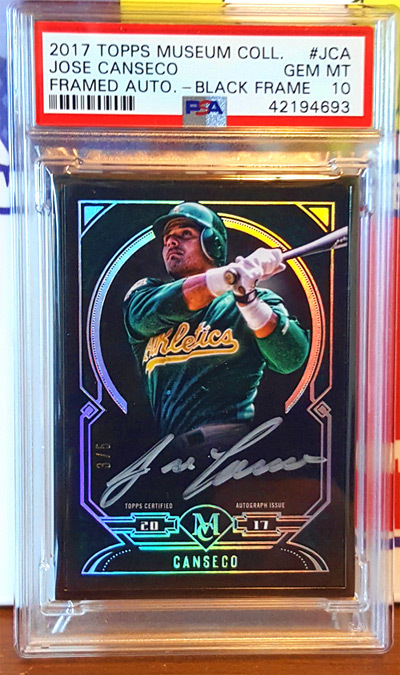 * While I LOVE the wood card and would take it any day over the /5 version, I have a LOT of love for the /5 - the black frame, holographic foil and silver signature. * The Museum framed cards were some of my favorites, and in hand, this one pops best out of all of them. When I sold it, fellow Canseco collecting compadre Jared sent it out to PSA and got it back as a 10! * I'm glad we were able to do a deal to get it back into my collection. * I paid very well for it, but am super happy it is back home. The 2015 Dynasty release marked the first time I spent big money on singles. * A few of my favorites are gone and locked up in their forever homes, but I was able to pick back up this beauty. * It is a jumbo 25th anniversary patch - only 2 or 3 others likely exist. * I really wanted a slick Dynasty representation, so Ty was kind enough to sell it back to me. 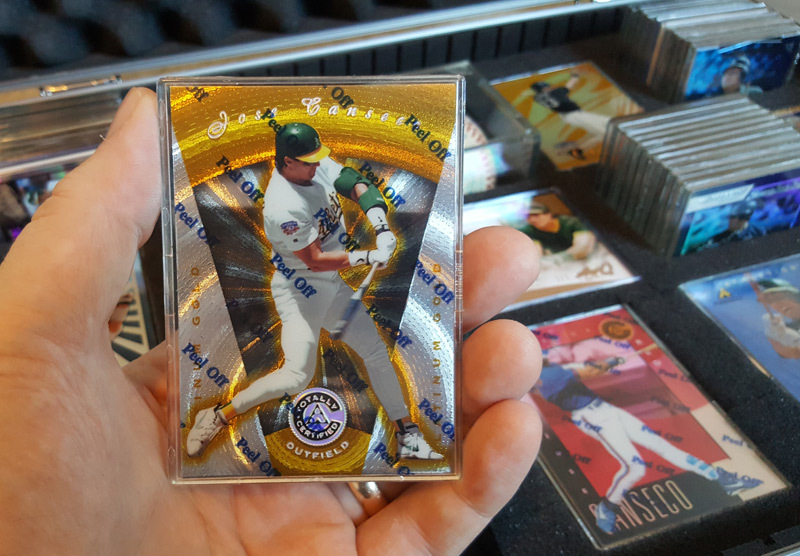 The 2000 UD Game Jersey patch card is the first patch card of Canseco's, ever. * I had one already, but fell in love with the patch coloring and bought it overseas. * I sold it after I went public with my retirement announcement and later asked the owner if it was available. * The 1st time this card came in was fun, but the 2nd time was greater. 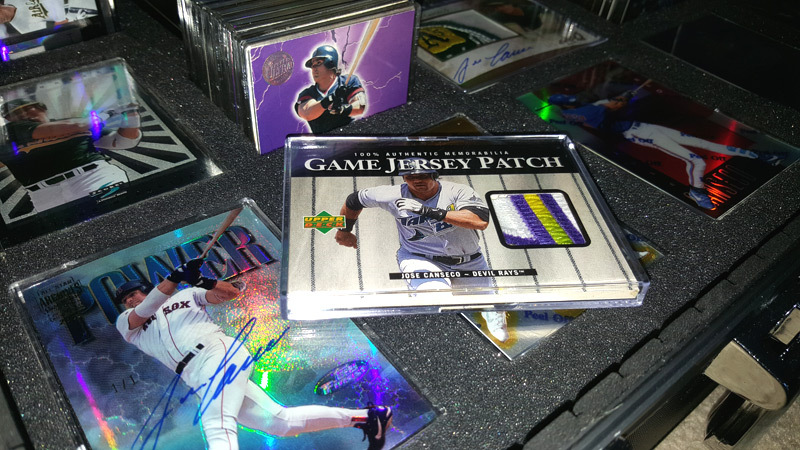 Just beneath the patch card, is my lone Topps Archives Signature Series card. * If you recall, I used to have over 100 different Archives cards, with over 20 1/1s. * This is the one I decided to keep. * It is the only 1/1 Refractor Archives card I've ever seen of Jose and only one of a couple I've seen of anyone for 2015-16. * For me, it is by far the most beautiful Archives card I have ever seen, as well! The following card is probably one that I'm most excited about getting back. * The 1997 Pinnacle Totally Certified Platinum Gold. * I caught wind of it coming up for sale and stayed chained to my computer to wait for it to pop up. * I sold it a while back and regretted doing so. It took a month or two after selling it to realize that I wished I would have kept it. * After a month of negotiations with Canseco's close friend John, I was once again, the proud owner of this beauty. I guess there is life for me in this hobby after Supercollecting. 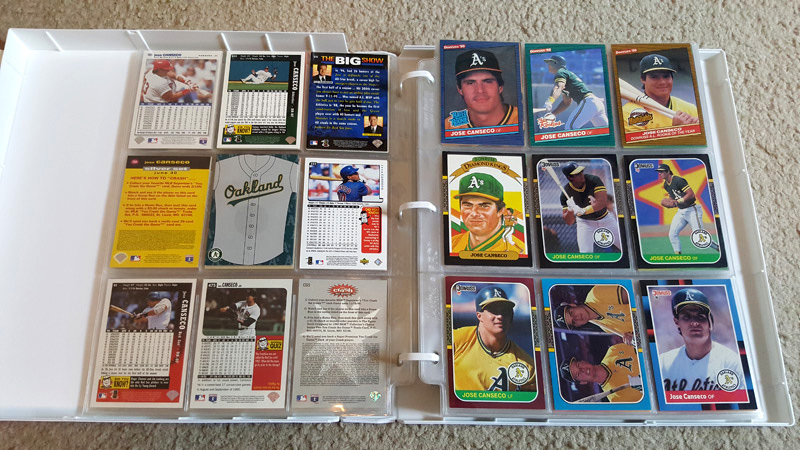 * I will continue to pick up other special Canseco cards here and there, and so far I've stayed well within the profits I made off of selling my collection. 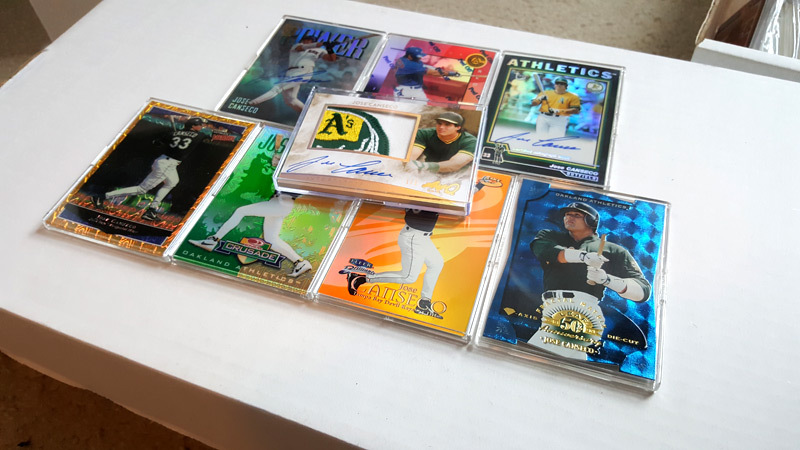 * If this sounds familiar to you, it might be due to the fact that I made it my goal to stay within the profits of selling off my first collection in an article I wrote almost exactly five years ago on my blog called "Jose Canseco PC 2.0". * That plan didn't work out so well, did it? 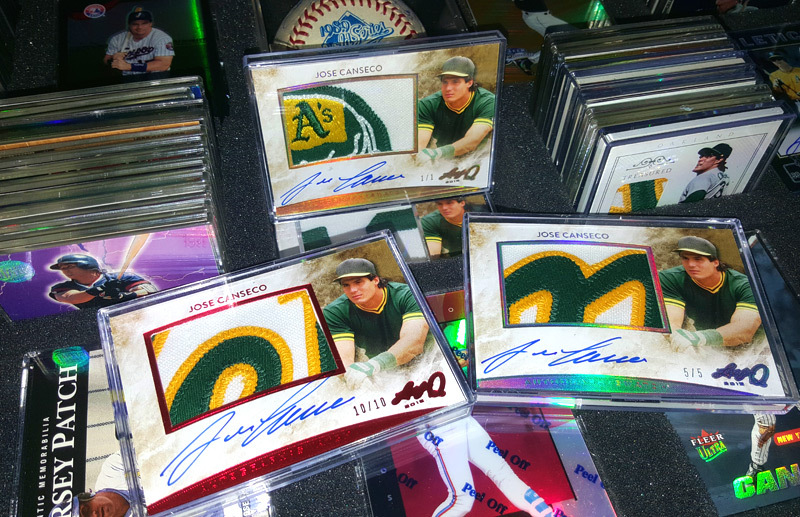 * * I guess you can call the latest rendition Jose Canseco PC 3.0 (or Free.0! )* but whatever you do, don't call it a comeback. 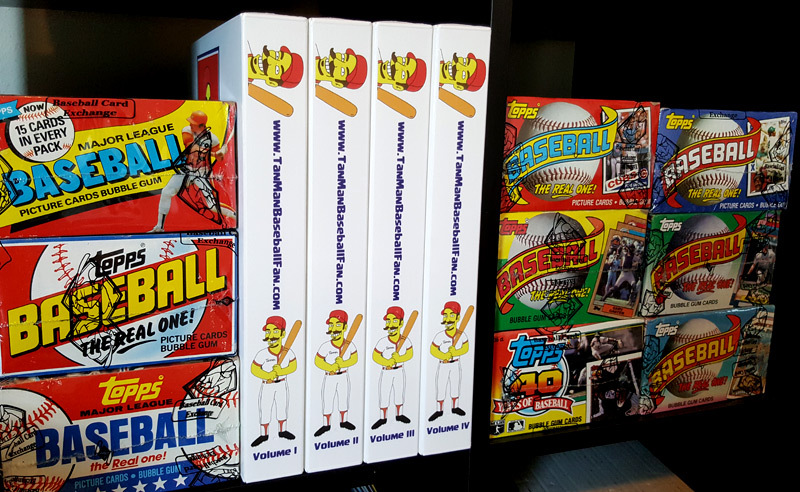 Confessions of a Baseball Card Addict. Send it to your wives to get you for Christmas - what wife wouldn't want to get their husband a book about a guy selling his collection? Last edited by mouschi; 12-19-2018 at 03:35 PM. Hey Tanner congratulations on the new addition!!! Also I just ordered a book! I can't wait to read it. Sorry to hear about your Dad's passing, congrats on the new baby on the way. WOW....so much going on in your life! Sad to hear about your dad. Mine has been gone for 10 years, but is always with me!! Congrats on the baby and the book. l'm happy that you're still part of the hobby. When I get your book, I will send it to you to be autographed, because you know I LOVE autographs!!! Absolutely amazing Tanner. I'm deeply sorry for the loss of you father but happy beyond belief for you and "Mrs. Mouschi". I can't wait to read your book, if it's written half as well as your articles here it will be a great addition to my baseball book collection. Tanner, I'm very sorry to hear of the loss of your father. Congratulations on the baby ! And the Book ! Congrats on the baby and book release. My condolences for your father's passing. My dad died in 2012 and even though we knew it was coming, it is still something you can never be prepared for. Did you ever disclose what you paid Canseco for the private meeting? I am curious to know if that is information you have already or are willing to share. I inquired through Garvey's site for ****s & giggles to see if I could get a price for a similar session, figuring I'd have to be more serious than a website inquiry, but never even got an initial acknowledgement or response. It would never happen because I am too cheap, but still wonder what these guys get paid nowadays for appearances. Thank you very much, everyone! @dano7 are you sure you want the book defaced like that? LOL! 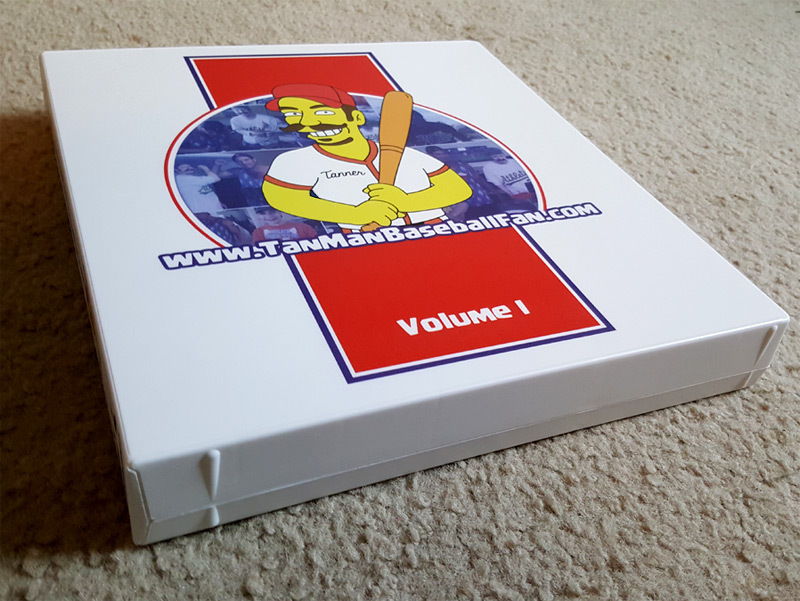 If you haven't ordered one yet, you can pay me directly 14.95 + 3.95 shipping to tanmanbaseballfan@gmail.com and I'll send you one autographed directly when they come in (it should be early January). @mrmopar - I believe it was 3k...I'd have to check my notes, but I'm pretty sure that is what it was. Well worth it! 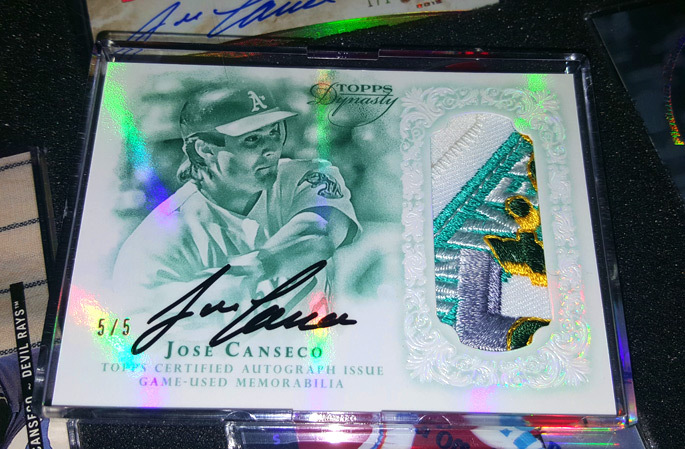 Seeing you sell your Canseco collection (and why) was a great story. 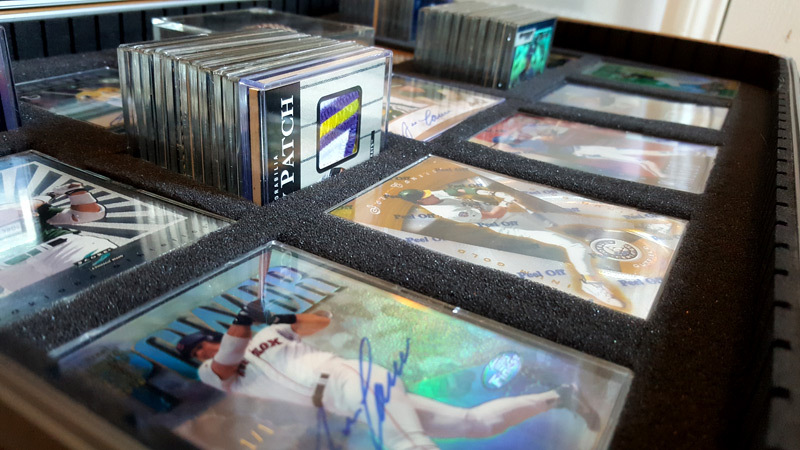 It was just so interesting to see a player collector prioritize life, and see where cards fall. I would imagine every player collector has those “what if” thoughts in some way, and so many player collectors (and friends) sell it all and move on. So I greatly appreciated being in on your decision, and ultimate sell off. That being said, seeing you buy Canseco cards again is too much. I had the “Oh, brother...” thought in my head, and my eyes rolled. I’m going to have a hard time appreciating your “re-pick ups” maybe because I was so at peace with your decision (more than you?) lol! Hopefully this doesn’t come off as disrespectful, and I get that everyone has their own thing, and way, to collect. This was just a hard read for me, comparatively to other Mouschi articles. Thanks, Tanner! I just sent the $18.90 and look forward to reading the book in January!!!!! congrats on the baby. there is a 16 year gap between my stepson and my daughter. lol so good luck with that. If its ok, i will paypal you for an auto copy of your book as well!! You aren't alone - I roll many eyes with a lot of stuff I do (my wife included!) For me, this is a MUCH healthier way to stay in the hobby. I no longer have a "gotta have it all" mentality. In light of that, I truly hope it isn't (as) bothersome to you that I'm picking up some cards that put a smile on my face. My collecting is in no way shape or form anything like it was before Anyway, thank you for the kind words! Thank you for the buy! LOL! Good luck with that sounds terrifying! I gotta tell my wife that, she'll get a kick out of it. Yes, paypal would be great, thank you! money sent. i sent a few extra bucks to cover the paypal fees.